The Hagley Museum hosts its annual Victorine’s Valentine Day event, Saturday from 12;30 to 4 p.m. Probably no-one needs to be reminded that this weekend is Valentine’s Day Weekend but suggestions on how to celebrate the occasion with your sweetheart might be appreciated. There are several special events in the area that could fill the bill. On February 14 from 12:30-4 p.m., Hagley Museum and Library (Route 141, Wilmington, Delaware, 302-658-2400, www.hagley.org) will host its 2015 edition of “Victorine’s Valentine Day”. Here, a woman named Victorine du Pont Bauduy (1792-1861), the eldest daughter of the DuPont Company founder. During Victorine’s Valentine Day, “Victorine” will tell her story, as well as other love stories from the 19th century. Victorine was the eldest daughter of E. I. du Pont, who built the mills on the Brandywine. She fell in love with Ferdinand Bauduy, the son of E. I.’s business partner. E. I. opposed the marriage, believing the couple was too young to be married. Ferdinand moved to France for two years, during which time Victorine pined for him. After two years, E. I. relented, and the young couple joyfully married in 1813. Now through March 13, Hagley Museum and Library is offering free admission. This includes all exhibitions, site tours, weekend demonstrations and other activities — everything with the exception of ticketed events. Visitors who go outside can walk along the Brandywine to see how water power was used to run the mills. Stops along the walk include a line shaft, a dam, a millrace and a restored 19th-century machine shop. Guests can also learn how gunpowder was tested using a device called an eprouvette. Earlier in the day, you can start your holiday celebration with a different type of Valentine’s Day experience by having a delightful breakfast in the country. 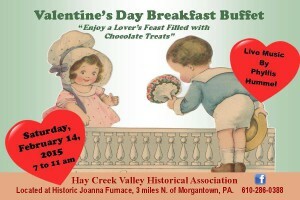 An all-you-can-eat Valentine’s Breakfast Buffet — complete with live musical performances — will be held Saturday from 7-11 a.m. at Historic Joanna Furnace Historic Joanna Furnace (Route 10, Morgantown, 610-286-0388, www.haycreek.org). Visit to the historical site Saturday morning will be able to savor the delicious breakfast foods Joanna Furnace is known for, indulge in a chocolate-enhanced menu and learn about the history of Joanna Furnace. Many of the dishes served at the event will be reminiscent of the breakfasts served in the historic furnace homes. The all-you-can-eat Valentine’s Breakfast Buffet will feature bacon, creamed chipped beef, eggs, fresh country sausage, ham, scrapple, pancakes, hash browns, toast, coffee, juice and fresh fruit accompanied by a fabulous chocolate dip. Reservations are not required for breakfast. The “Lovers’ Day” ambiance will be enhanced by live music performed by Phyllis Hummel. The veteran musician from Berks County will play acoustical guitar and sing a variety of romantic ballads throughout the breakfast time. Valentine’s Day and chocolates go together like Halloween and pumpkins or Independence Day and fireworks. One wouldn’t seem the same without the other. The Chaddsford Winery will offer Wine & Chocolate Samplings, Feb. 14, 14, 21, 22 and March 1. 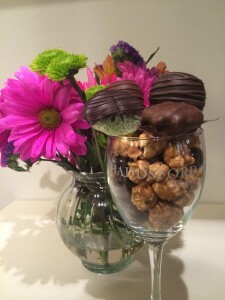 The Chaddsford Winery (632 Baltimore Pike, Chadds Ford, 610-388-6221, www.chaddsford.com) will offer “Wine & Chocolate Samplings” on February 14, 15, 21, 22 and 28 and March 1. The special tasting features Chaddsford Red with a milk chocolate covered vanilla cake pop. Pinot Grigio with a dark chocolate covered chocolate cake pop, Barrel Select Chardonnay with a dark chocolate covered kiwi and Pinot Noir with surprise chocolate and accompaniments. Sweethearts on Valentine’s Day — as well as anyone with a sweet tooth — should visit Hershey during the month of February for “Chocolate-Covered February in Hershey” (various locations around Hershey, 800-HERSHEY, www.chocolatecoveredfebruary.com). Hershey has decadent chocolate events planned throughout the month of February. Visitors to the Hershey Store can try their hand at making their own heart-shaped milk chocolate confections and hand-made truffles. The “Hersheypark Chocolate Parade” will be held at the amusement park every Saturday and Sunday in February beginning at 2:30 p.m. each day. There will also be an “Interactive Story Time & Hot Cocoa” session at 1 p.m. and again at 3 p.m. at Hersheypark every Saturday and Sunday in February. Other activities throughout the month include “Chef Demonstrations” at the Hotel Hershey, “Hershey’s Chocolate Dessert Journey” at Hershey’s Chocolate World, “Rainforest Adventure” at the Hershey Store, “Chocolate and Spirits Pairing Class and Chef Demonstrations” at the Hershey Lodge and “Chocolate Tea” at the Hotel Hershey. The list of special events also includes “Hershey’s Character Breakfast” at Hershey Lodge, “Wild Treats” at ZooAmerica, “Old Chocolate Balsamic Tastings” at the Hotel Hershey, “Hershey’s Hot Chocolate Pajama Party” at Hershey Lodge and “$5.50 Fridays” at Zoo America. 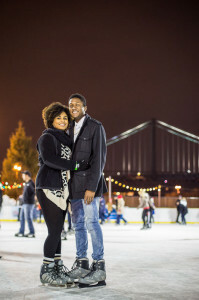 Take your sweetheart for a skate at Blue Cross RiverRink in Philadelphia, during special “Sweetheart Skate” sessions, Saturday night. “Sweetheart Skate” is slated for February 14 at the outdoor rink with four skating sessions — 5-6:30 p.m., 7-8:30 p.m., 9-10:30 p.m. and 11 p.m.-12:30 a.m. The event’s focus is providing a suitable atmosphere for guests to skate with their special someone. Tickets for Sweetheart Skate, which are $20 per person, include admission and skate rental — and a lot more. The tickets will include a complimentary flower (while supplies last) for ladies. Guests will also receive a free Sweetheart photo keepsake and sweet chocolate treats. Additionally, Dunkin Donuts will be giving out their heart-shaped donuts to Sweetheart Skate guests starting at 5 p.m. until they run out. The Blue Cross RiverRink, which features a beautiful restaurant and bar, light shows, fire pits, and a regulation-size ice skating rink will also be offering a variety of special Presidents’ Day Weekend activities. On February 13, skaters can move around the ice to music provided live by deejay JT from 9 p.m. until midnight. The will be a full slate of activities on February 14 including Philly Circus Mime (11:30 a.m.-1:30 p.m.), USO Hug-a-Hero (1-4:30 p.m.), David Ramsey (1:30-4:30 p.m.) and Valentine Themed Balloons with Black Cat (1-5 p.m.). On February 15 and 16, David Ramsey will provide strolling entertainment from 11:30 a.m.-2:30 p.m. There will be Dunkin Donuts sampling from 11 a.m.-2:30 p.m. and performances by Philly Circus Mime from 2:30-4:30 p.m. The Chadds Ford Historical Society will be celebrating Presidents Day Monday with a special education event. 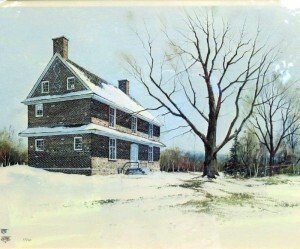 Presidents’ Day will also be celebrated by the Chadds Ford Historical Society (Barn Visitors Center, 1736 Creek Road, Chadds Ford, 610- 388-7376, www.chaddsfordhistory.org) with a special event on February 16. Visitors will be able to learn about the history of Chadds Ford. Free activities include a video of U.S. Presidential history, refreshments, games, coloring, and kids’ crafts. There will also be tours of the Chads House with live beehive bread making. Tickets for the one-day event, which is scheduled to run from 10 a.m.-3 p.m., are $5 for adults. Society members and youth (ages12 and under) will be admitted free. From February 13-15, the Pennsylvania Convention Center (10th and Arch streets, Philadelphia, 800- 541-8239, www.villainarts.com) is hosting the Philadelphia Tattoo Arts Convention. The convention runs from 2 p.m.-midnight today, 11 a.m.-midnight on Saturday and 11 a.m.-8 p.m. on Sunday. The main focus of the convention will be hundreds of booths hosted by top-flight tattoo artists. The art of tattoo will be celebrated this weekend at the Philadelphia Tattoo Arts Convention at the Pennsylvania Convention Center, this weekend. The entertainment schedule for February 13 and 14 features Penguin Boy’s Man Time Trash Hour, Olde City Sideshow, Gisella Rose, The Great Vincenzo (performing magic and escapes), The Inkllusionist, Raquel Reed, Smurfasaur and Marlo Marquise. On February 15, it will have Penguin Boy’s Man Time Trash Hour, The Inkllusionist and The Enigma. A number of the country’s most famous ink artists will be tattooing at this weekend’s show, including Jack Hatchet, Mechanique Macabre, Christian, Jessey Knuckles, Brooke Englehart, Sailor Jerry Swallow, Betty Rose, Kep Foe, Steampunk Works and Texas Ed. Other attractions include a video game tournament, free samples, raffles and kids’ activities. There will also be opportunities for show attendees to have pictures of their tattoos taken by a number of magazines. Tickets are $22 per day or $45 for a weekend pass. Days when wind chill forecasts are listed in single digits make it hard to even think about playing golf locally. But, golf aficionados frequently have the game in their minds 12 months a year. From February 13-15, golfers will have plenty of reasons to have golf thoughts occupying their minds because this is the weekend for the annual Philadelphia Golf Show at the Greater Philadelphia Expo Center (Station Avenue, Oaks, 330-963-6963, http://northcoastgolfshows.com). 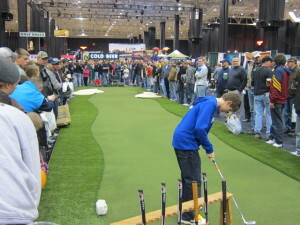 The Philadelphia Golf Show tees it up this weekend at the Greater Philadelphia Expo Center in Oaks. The popular annual show features a large assortment of vendors with a wide array of golf-related products. This allows visitors to shop, compare and save on a huge selection of golf equipment, apparel and accessories. Visitors to the event will be able to test, hit and compare the newest 2015 clubs. There will also be exhibits and sales booths by representatives of resorts that offer golf getaways as well as a full schedule of entertaining stage presentations and demonstrations. The list of special attractions includes a “Manufacturers Demo Range”, a “Long Drive Championship” and a “Long Putt Challenge.” As an added attraction, golfers will have the opportunity to receive free instruction from PGA professionals and to take part in skills competitions to win valuable prizes. Tickets are $10 and are good for all three days. Children (under 12) will be admitted free. This weekend, you can experience Scotland, Ireland and the other Celtic cultures without leaving the country. 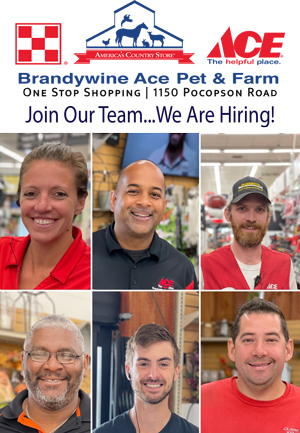 All that is needed is a short drive to King of Prussia. The annual Greater Philadelphia Mid-Winter Scottish & Irish Music Festival is taking place from February 13-15 at (First Avenue, King of Prussia, 610- 825-7268, www.eohebrides.com). This year’s event is the 23rd annual staging of the popular celebration of Gaelic culture. The festival gets underway tonight with the Kick-Off Concert. The show, which begins at 7:30 p.m., features Charlie Zahm & Tad Marks, Angus & Drew, Albannach and Jamison. On Saturday and Sunday, there will be continuous live performances at four different stages — two on the lower level, one in the Casino Food Court and one in the Valley Forge Park Ballroom. The roster of acts slated to perform this weekend includes MacLeod Fiddlers, Fitzpatrick Irish Dancers, Brigadoon, Searson, the John Byrne Band, Screaming Orphans, ClaNa Gael, Rathkeltair, The Band Jam, the Campbell Highland Dancers, Oliver McElhone, the MacLeod Fiddlers, Charles Kadyk, Brother, the Cummins Irish Dancers, Frank Reed, the Sean Fleming Band, Timlin & Kane, Runa, and Belfast Connection. Additionally, the festival will also feature Scottish and Irish gift shops, face painting, dance classes, performances by strolling bagpipers, booths featuring clans and fraternal organizations and demonstrations of Irish, Scottish and Canadian dances. There will also be plenty of taste treats from Scotland and Ireland including imported beer, Scottish and Irish whiskeys, fish and chips, birdies, scones, shortbread and meat pies. Tickets are $18for Friday, $30 for Saturday and $25 for Sunday. Paleopalooza, which is billed as a “weekend extravaganza of fossils”, is a festival featuring exhibits of fossils, dinosaur drawing lessons, trilobite races and talks by prominent paleontologists. It will be held Fwebruary 14 and 15 at the Academy of Natural Sciences (1900 Benjamin Franklin Parkway, Philadelphia, 215- 299-1000, www.ansp.org). The annual event will showcase rare fossils from the museum’s world-renowned collections including fossils belonging to President Thomas Jefferson as well as claws and bones from Megalonyx jeffersonii, a giant ground sloth that roamed North America during the Ice Age. One of this year’s featured attractions will be the opportunity to meet Buddy the T-rex, star of the popular TV show “Dinosaur Train!” Buddy will be roaming the museum throughout this fossil-filled weekend. Visitors to the event will be able to meet the museum’s paleontologists and ask questions about prehistoric animals and their lives. Another special activity will be trying to catch roving fossil juggler Randy Lyons as he strolls the museum teaching and tossing fossils. There will be a wide array of activities for children such as making dinosaur sculptures, digging for fossils, playing a dinosaur detective game, listening to dinosaur stories and seeing live animal shows. There will also be trilobite races, guided tours of Dinosaur Hall, showings of short animated dinosaur films and a variety of fossil displays from around the world. Tickets are $: Adults, $15.95 for adults and $13.95 for children (ages 3-12). Several other area museums have events that are geared to youngsters (and kids of all ages). “The Robot Zoo” reveals the biomechanics of robot animals including a chameleon, a platypus and a giraffe. Three robot animals and seven hands-on activities illustrate fascinating real-life characteristics, such as how a chameleon changes colors and what enables a fly to walk on the ceiling. Now through July 5, the Adventure Aquarium (1 Riverside Drive, Camden, New Jersey, 856-365-3300, www.adventureaquarium.com) is presenting “Dinosaurs of the Deep,” an exhibit that allows spectators to travel into an underwater world of millions of years ago when giant prehistoric monsters ruled the seas. Admission to the Adventure Aquarium is $25.95 for adults and $18.95 for children (ages 2-12). Children under two are admitted free with a paying adult. There are two other long-running events in the area that are worth checking out. Longwood Gardens (Route 1, Kennett Square, 610-388-1000, www.longwoodgardens.org) is hosting its popular “Orchid Extravaganza” through March 29. Now through March 1, thousands of unsold Christmas trees are the focal point of “The Ultimate Recycled Maze,” a popular event at Linvilla Orchards (137 West Knowlton Road, Media, 610-876-7116, www.linvilla.org). A huge amount of unsold Christmas trees have been collected from around the region to create this exciting new attraction that is fun for all ages. The maze takes anywhere from 30 minutes to an hour to get through. Admission to the maze, which is open daily from 9 a.m.-5 p.m., is $5 — or $4 when purchased with a round of mini-golf. The mini-course is open daily from 9 a.m. -5 p.m. Tickets are $6.95 (ages 11 and over) and $4.95 (ages 10 and under).